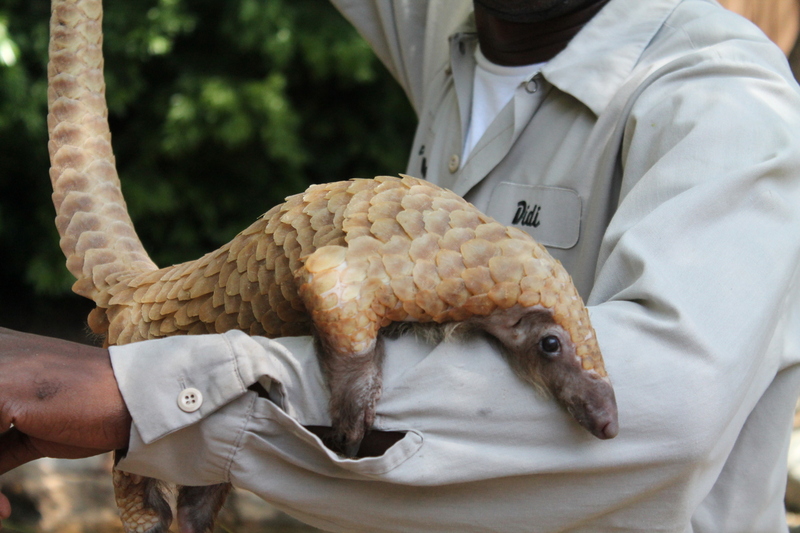 Stan’s Obligatory Blog » Pangolin! About two years ago, when I was riding the train downtown for stair-climbing practice, I read a short article in National Geographic about the pangolin. The pangolin is an odd little animal that looks like a cross between an armadillo and an anteater, but apparently is not related to either of them. 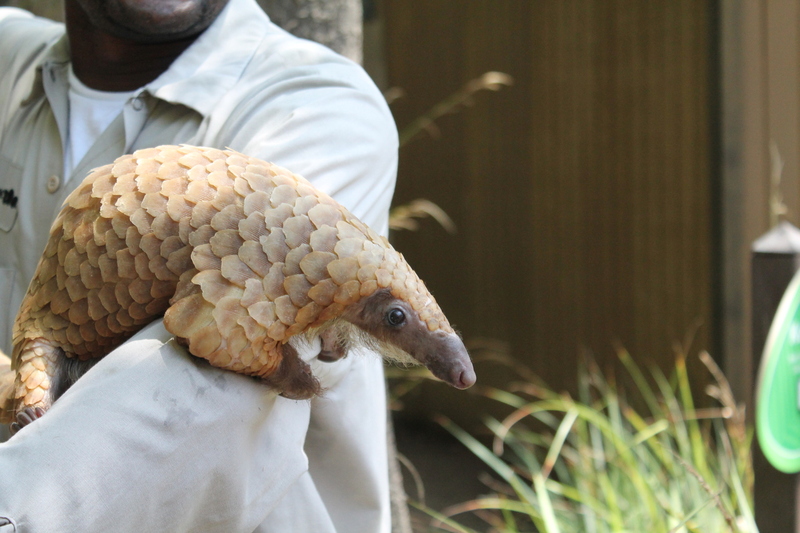 The electronic edition of the article also had a short video of a pangolin walking through the forest. I was immediately fascinated, and I wanted to see one of these animals. 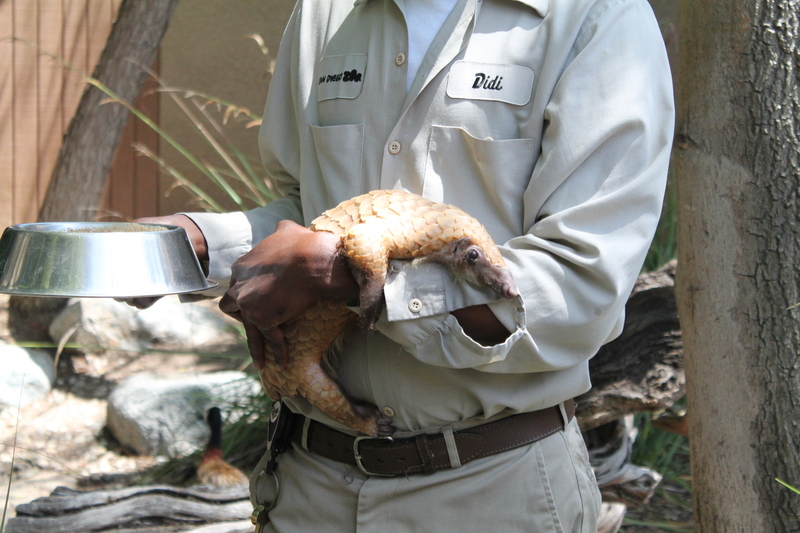 Doing some research, I discovered that there is only one zoo in the United States that has a pangolin. 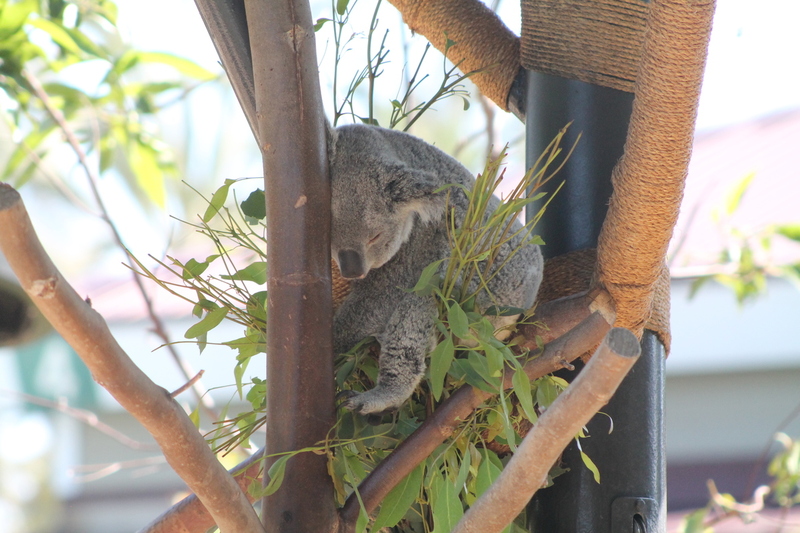 That would be the San Diego Zoo, and the animal in not on regular exhibit. They only bring it out with a keeper once a day in the summer for about fifteen minutes. When we went to the zoo last year, we missed it by just a few minutes. 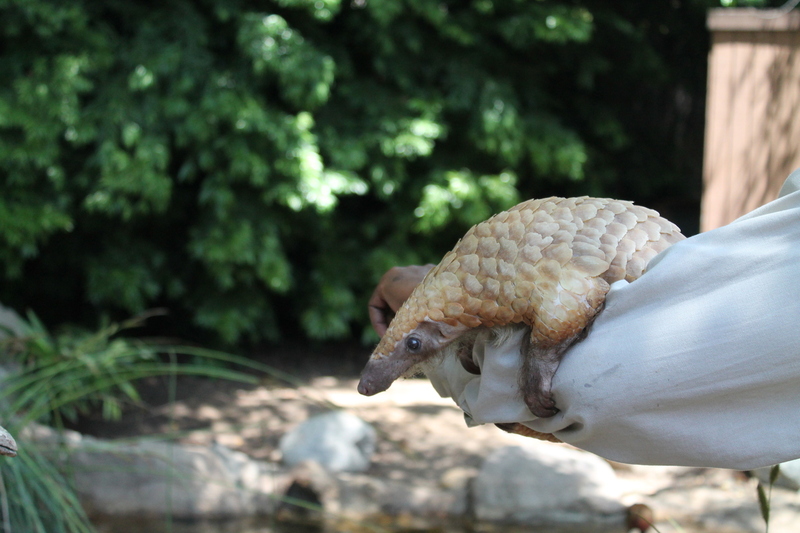 Back in June when we were here, I called the zoo to ask about it, and they said that they were not on the summer schedule yet, and so the pangolin would not be making an appearance. So this time, I checked that they are indeed on the summer schedule now, and that the pangolin would be coming out at 1:30. We got to the zoo at about 1:15, and we set off to look for the place where the keeper would have the pangolin. It turned out to be in a remote corner of the zoo. It was a place we had never been to before. We had to ask directions, and one of the zoo employees took us over there, since he said that he couldn’t describe how to get there. But we made it there, and we waited just a few minutes by the sign before the keeper and the pangolin came out. 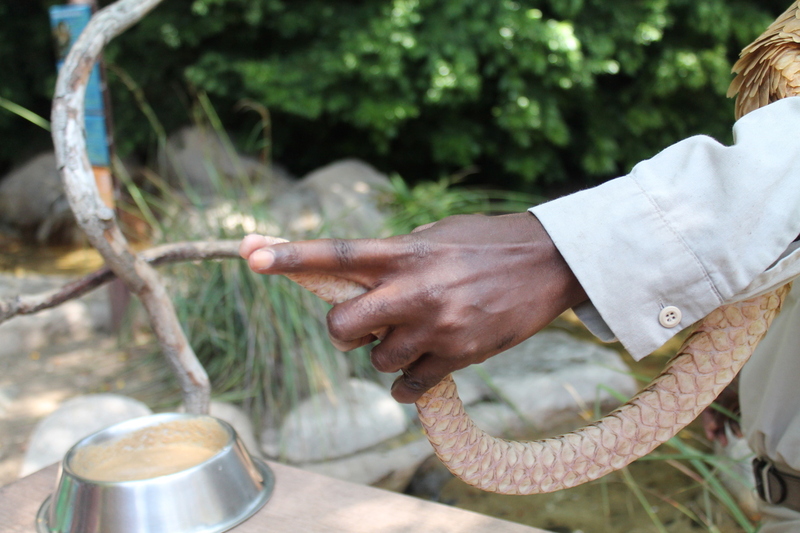 The zoo’s pangolin is a tree pangolin, which is the smallest of the pangolin species. It has a long prehensile tail so that it can hang from branches. The tail is covered by scales, and the tip of the tail looks like a finger, complete with a fingernail. All in all, it is one weird little animal, and I’m glad we finally got to see it up close. The pangolin was the main attraction of the day. After seeing it, we went down the canyon to see the giant pandas. 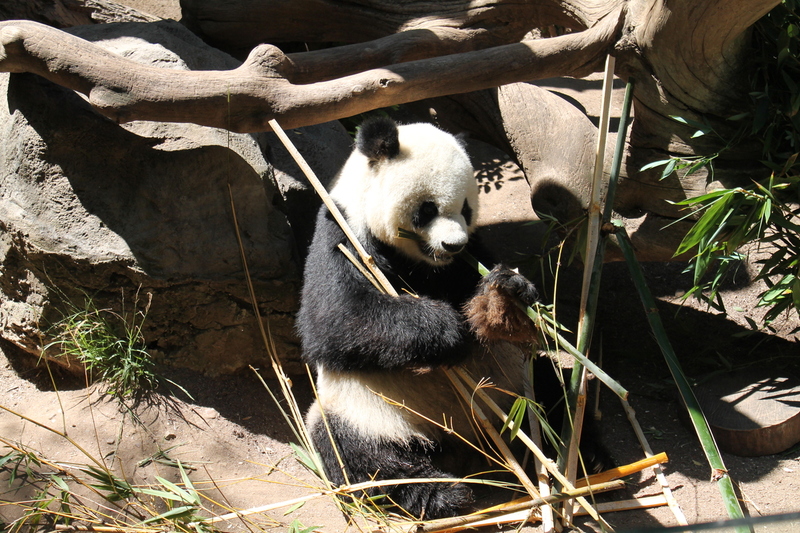 One was taking a break off-exhibit, but the second was sitting out and eating bamboo. The keeper said that the pandas have massive jaw muscles, since the bamboo they crack open to eat is tough like bones, so they need very strong jaws and teeth. 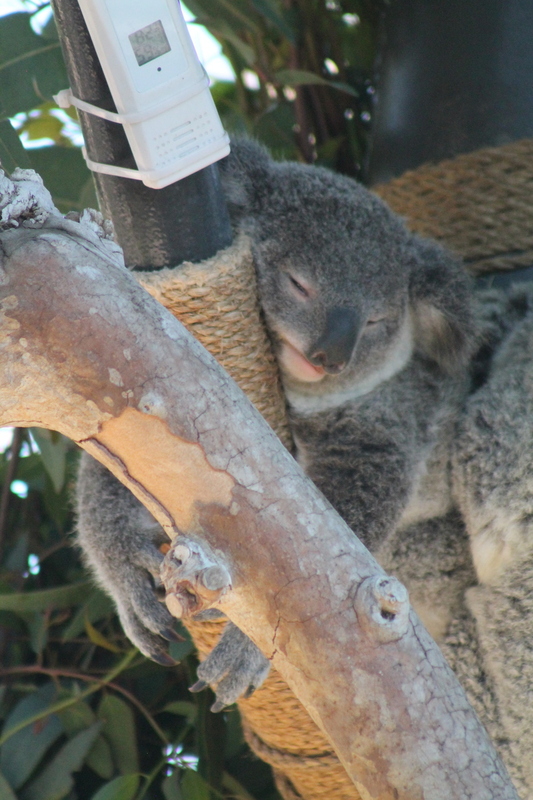 After the pandas, we took a walk to the Australia exhibit to see the koalas. They were all sleeping in their trees. 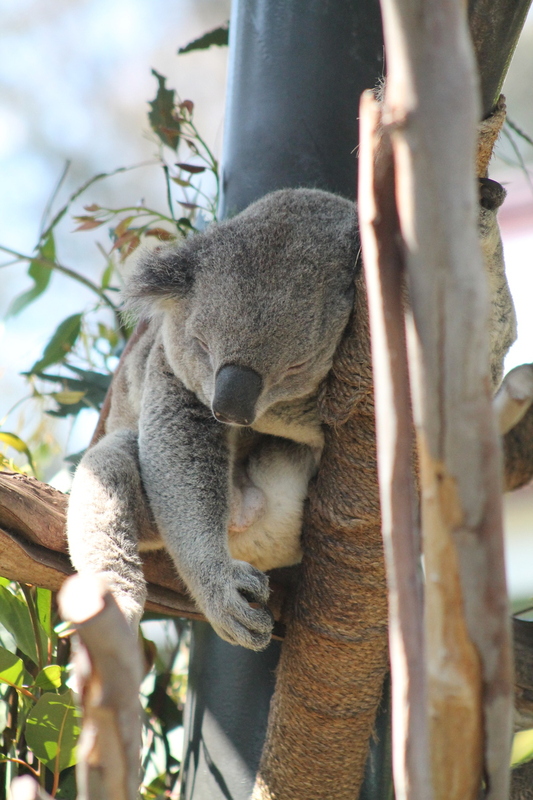 We only could see one baby koala this time. 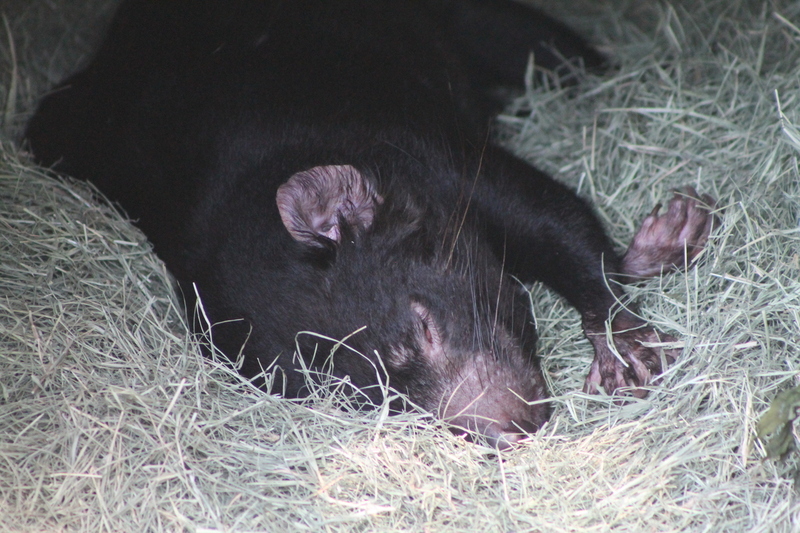 Then we went over to see the Tasmanian Devils. They were all sleeping, too. They’re kind of cute in a ferocious way. 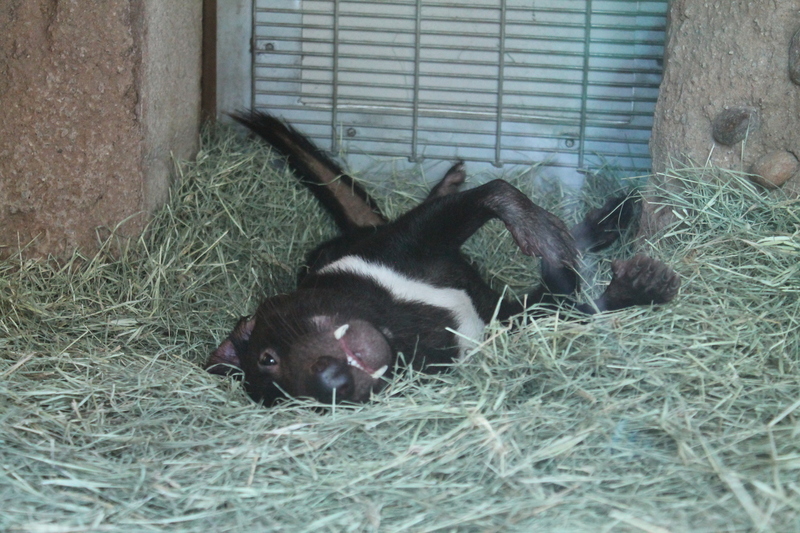 Just look at those fangs. And that made our day complete. We’d seen the fabled pangolin, so we headed for home.